AS IT STANDS: You're So Vain That You Probably Think This Post Is About You! You're So Vain That You Probably Think This Post Is About You! Sometimes you hear a song and it stays with you forever. 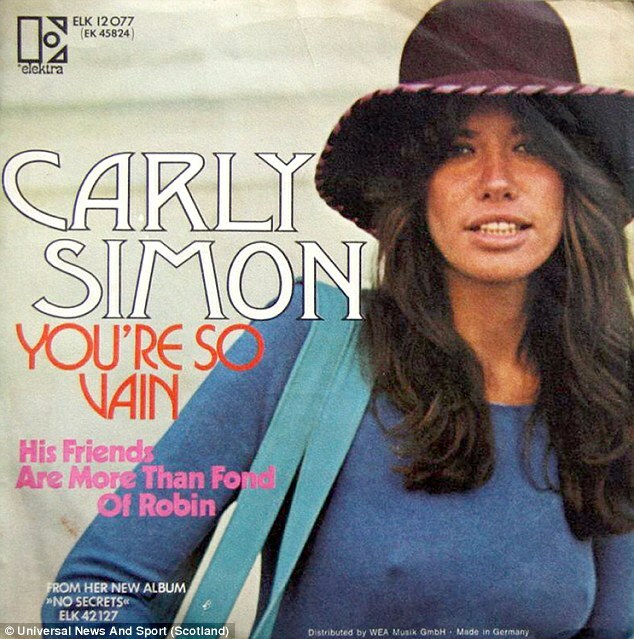 That's the case with one of my favorite singers, Carly Simon, who sang "You're So Vain." Simon revealed (In 2010) who she was singing about in her seventies hit song; and it wasn't Mick Jagger, Warren Beatty, Cat Stevens, or Kris Kristofferson. The song was about David Geffen, a gay record producer. Over the years I've seen people who bring the lyrics to life with the way they act. For example: A recent news article about a Harlem man named, Eric Jones, rings the vain bell. He was so vain that he thought nothing of inconviencing a train full of passengers to get his cell phone. "New Jersey Transit officials say a passenger pulled the emergency stop on a train so he could retrieve the cellphone he dropped on the tracks." your hat strategically dipped below one eye..."
Listen to, and watch, this Anti-Trump ad that Carly Simon created this year. Seriously, I've read about, and met, so many people who that song seems to be apply to that I've lost track of them.